Osram Opto Semiconductors has succeeded in making the first such SMT package in the world for large-area photodiode chips which are compliant with the highly rigid norms in the automotive industry. These chips are even approved up to an operating temperature of 125°C. The new SFH 2200 A01 and SFH 2200 FA A01 photodiodes fulfil the criteria for AEC-Q101-C qualification and can be used without any issue in rain sensors. Osram Opto Semiconductors as in the case of other products has followed the trend for miniaturization in the case of these products and made them a lot smaller than their predecessors. Developers at Osram Opto Semiconductors have managed to improve the moisture sensitivity level (MSL). This is the index that is used to determine when the level of moisture in the component is high enough to cause damage during soldering. Customers now have more leeway with regard to the time that has passed when it comes to soldering the SFH 2200 A01 and SFH 2200 FA A01 on the board even after they have been opened and exposed to air. This timeframe is applicable only if the component is stored under predefined criteria like a temperature of ≤ 30 °C and 60 percent humidity after the package is initially opened. That corresponds to an MSL of 2, and hence customers can solder the products in the component up to a year later without risk of damage. Similar products have an MSL of 4, which means, that there is risk of damage only 72 hours after the packaging is opened. The new broadband diodes are surface mountable. They can be soldered using the reflow method, making it very easy to check the solder at all the contacts. Ralph Schregle, Marketing Manager at Osram Opto Semiconductors said that one of the techniques used for achieving MSL level 2 for the SFH 2200 A01 and the SFH 2200 FA A01 was by using encapsulation material containing silicone. Thus, moisture and gases can escape more quickly during soldering. The photodiodes are particularly strong thanks to the flexibility of the silicone and the stability of the plastic package. The fact that Osram has made these products smaller than their predecessors attests to the importance Osram gives to flexibility and user friendliness. The dimensions of their packaging are 4.0 mm x 5.1 mm x 0.85 mm – which is a lot smaller than the 4.0 mm x 6.5 mm x 1.15 mm of their predecessors, the BPW34S and BPW34FAS. 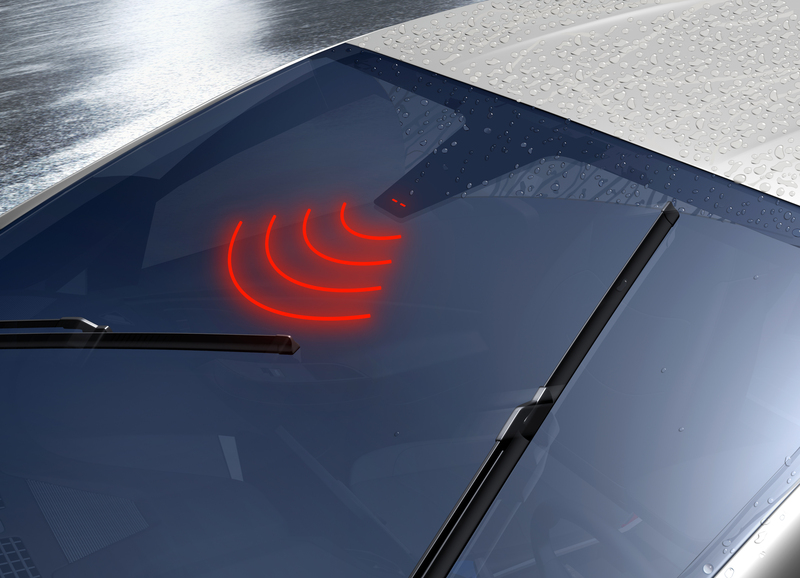 The new photodiodes will be mainly used in rain sensors mounted behind car windshields. When a raindrop falls on the windshield the diodes have the ability to detect a change in the incidence of light and this sensitivity is used by the system to control the windshield wipers and the rate at which they operate. SFH 2200 A01 and SFH 2200 FA A01 are almost identical silicon photodiodes. The only difference is that SFH 2200 FA A01 has a daylight filter whereas SFH 2200 A01 does not.